America loves feel good stories. One of the best feel good stories involving sports was depicted in the 2009 movie The Blind Side based on the book written by Michael Lewis. The movie depicts how Michael Oher, who was African American, grew up with a father who was constantly in and out of prison and a mother who was an alcoholic addicted to crack cocaine. As a result, Oher spent time moving from one foster home to another until he was adopted by the Tuohy family who are white. The Tuohy’s invested a great deal of time hiring tutors to help Oher achieve the scores necessary to play Division 1 football. Oher achieved the scores he needed and chose to attend Ole Miss where he played for four years. 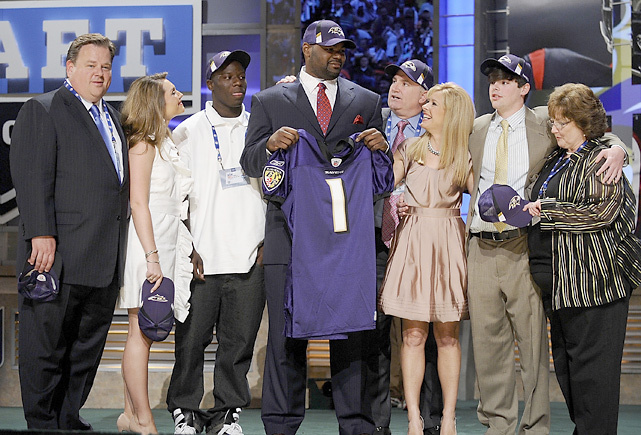 At the conclusion of his senior year, Oher was named a consensus All-American and drafted with the 23rd pick of the first round by the Baltimore Ravens. Despite achieving success in his career with the Ravens including a Super Bowl victory during the 2012-2013 season, Oher signed a four-year contract worth 20 million to join the Tennessee Titans in 2014. Oher played in only 11 games last season before landing on injured reserve with a toe injury. Many observers felt Oher had an off year last year before the injury and the Titans released Oher two days after this year’s Super Bowl. Oher has since landed on his feet and signed with the Carolina Panthers to play left tackle and protect the blind side of franchise quarterback Cam Newton who signed a $103.76 million extension June 3rd. This has not stopped Oher from saying the movie has hurt his career because the publicity he has received from it causes people to scrutinize his play more closely than other offensive tackles. A minicamp scuffle this week between defensive end Kony Ealy and Oher prompted reporters to ask Oher if he felt he needed to prove himself after down seasons the past two years. Oher’s response follows. Oher also snapped at a reporter during media day before the Supper Bowl win in 2013. Nobody likes criticism, and players have down years. The Ravens choosing not to resign Oher after the 2013 season and the Titans releasing Oher does not mean his career is in jeopardy. The Panthers are extremely excited to have Oher on their team. Coach Ron Rivera and tight end Greg Olsen have been impressed with Oher in minicamp although Rivera was not happy with the scuffle at practice. The scuffle may have received more attention because so many people know Oher because of the movie. Well, it obviously does worry Oher if he feels the need to discuss how he believe the movie has negatively impacted his life. I predict Oher will play with a chip on his shoulder and be voted NFL Comeback Player of the Year.